A guitar that gives you everything. 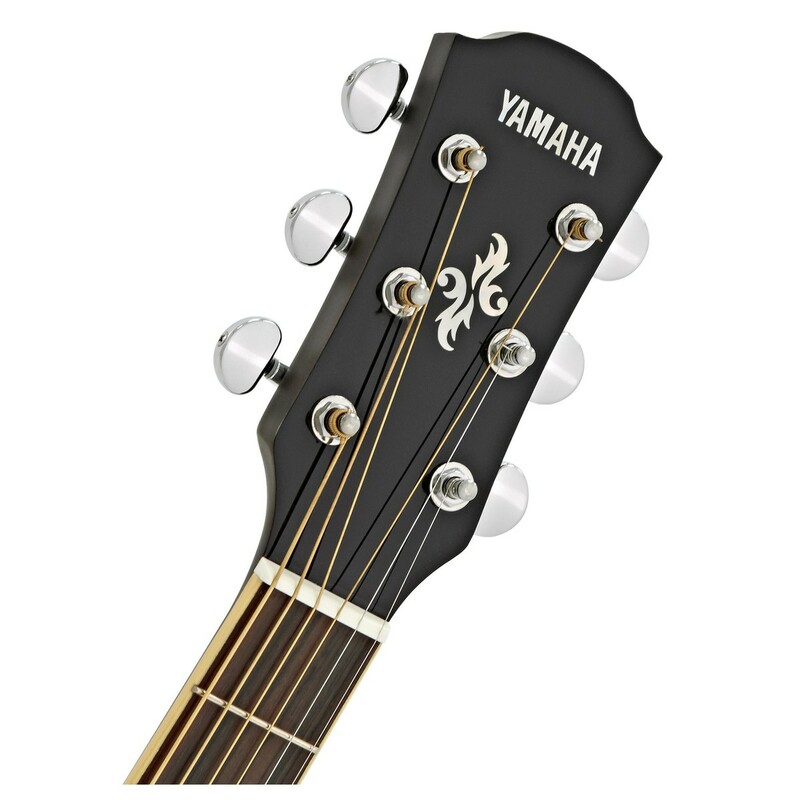 The Yamaha APX600FM Electro Acoustic has been expertly crafted to deliver excellence in every department. 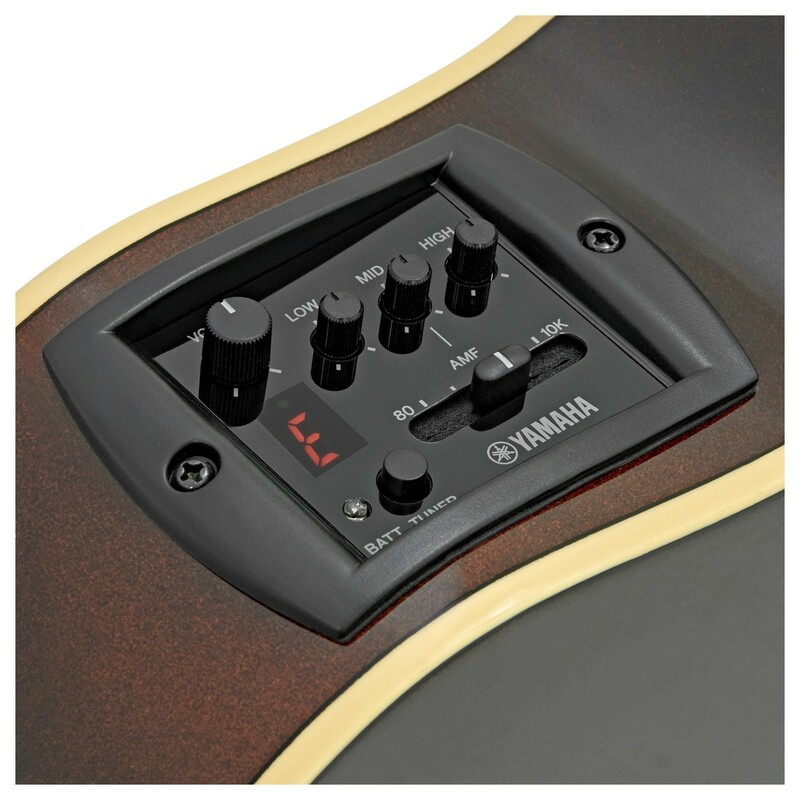 For a start, it's renowned for offering the best, most ergonomic playing experience on the market. You really will enjoy every second you've got one of these in your hands - its smooth playing action, lightweight profile, and cutaway design ensure it sits at the pinnacle of playability. But there's so much more to love. System65+ electronics and a piezo pickup are designed to bring magnificent clarity to your performance. Because even when you crank up the volume, they'll eliminate feedback and maximise your sound – all that you’ll hear booming from your amp is exactly what you’re playing, pure and untainted. You'll enjoy rich, varied tone courtesy of rosewood and maple tonewoods. And a flamed top brings an exquisite, unique aesthetic that ensures you'll always look good, too. 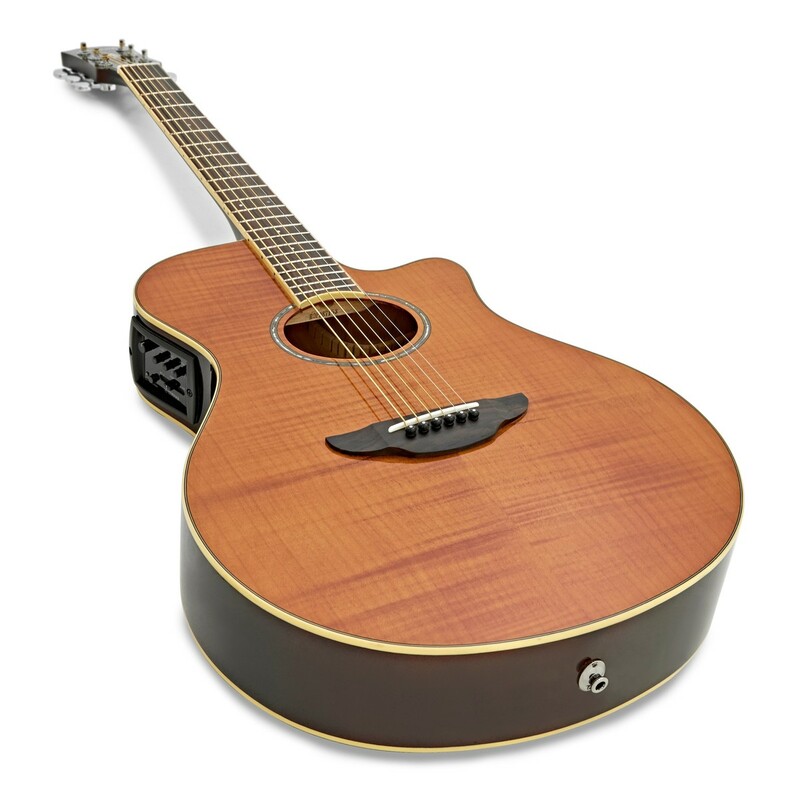 It's one of the world's bestselling electro acoustics - play one, and you'll understand why. Feel. It's vital in a guitar. You'll get nowhere with an instrument that feels clunky or difficult in your hands. Yamaha know this, and as such, the APX600FM has been designed with the player in mind - ensuring the best possible playing experience. Firstly, there's the guitar's scale length. 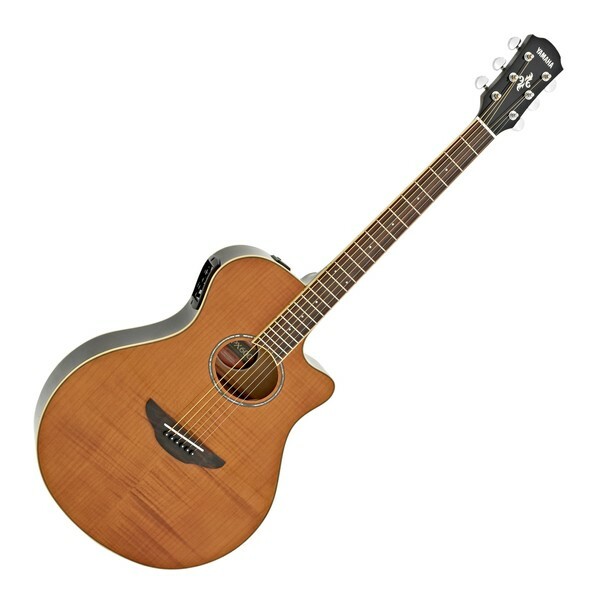 It's slightly shorter than a full-size acoustic, accommodating a wider range of players and making it easier to play anywhere along the guitar's neck. Furthermore, the guitar's thinline body size provides a slim profile that's easy to get your hands around. Ideal for players who find larger guitars difficult to use. You'll be able to play with speed and dynamism, too. 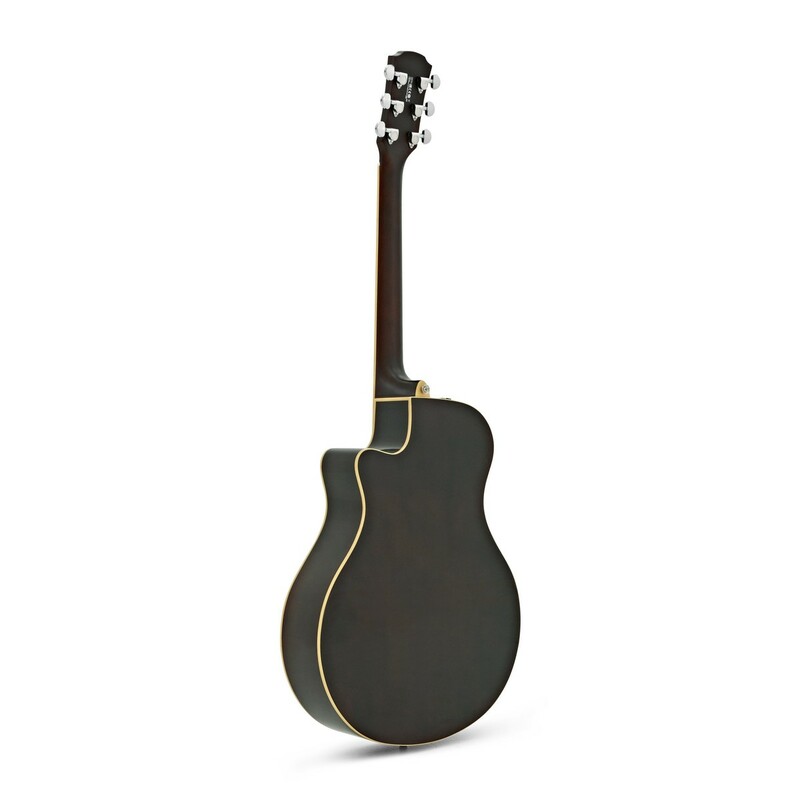 The APX600FM has a super-smooth neck made from locally sourced tonewood. It's sleek to the touch and will help your hand to glide at fast pace up and down the neck - making it perfect for those up-tempo chord sequences. When you go out on stage with one of these, you can be certain you've got the correct instrument to deliver your best performance ever. Versatility in a guitar is essential. There's no point having an instrument that doesn't deliver a broad enough range of sounds to give your music the variety it needs. That variety comes in abundance in the APX600FM courtesy of a mix of rosewood and maple tonewoods. So no matter the style you're playing, it'll always sound amazing. Maple used for the guitar's top has a wonderfully bright quality. Dynamic and responsive, it's particularly good for sharp high-end playing and fingerpicking styles - every note will sing with clarity. And a classic rosewood fingerboard brings depth and a more bass-like quality whenever you're playing down the bottom of the scale. You shouldn't compromise on your sound. With the Yamaha APX600FM, you'll never have to. Accessibility. This is a quality that often gets forgotten about when making acoustic guitars. Many models can be large and cumbersome, meaning it's difficult to reach the high-end of the guitar's scale. This will never happen with the Yamaha APX600FM. 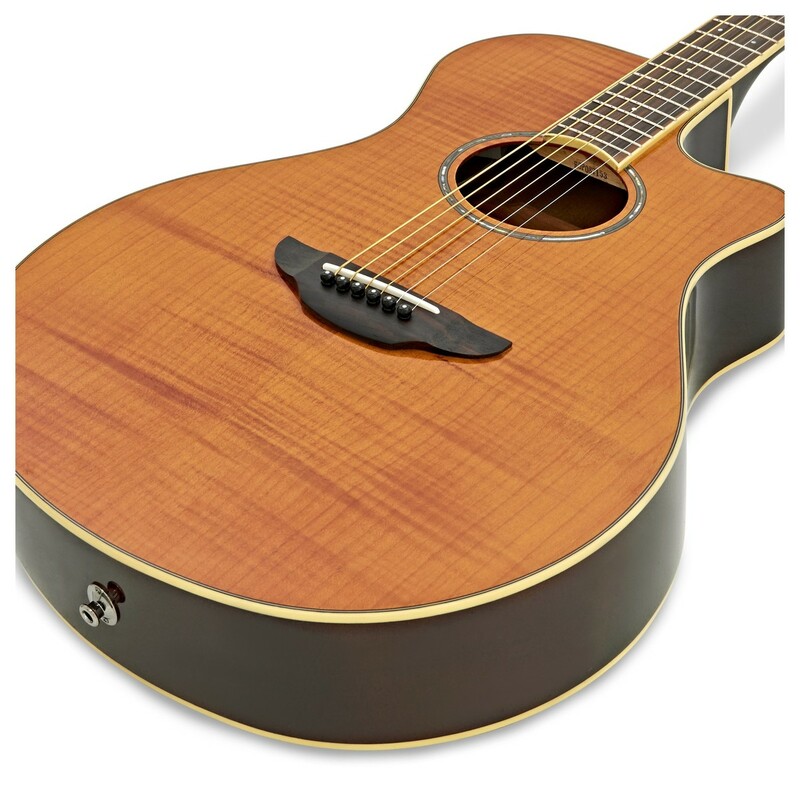 Its cutaway body design gives you ease of access to the very top of the guitar's fretboard. Thanks to this, you'll never be held back in your playing. Reach even the highest frets with ease. A guitar you can admire all day long. The APX600FM is simply beautiful. It features a stunning flame maple top that gives it a unique, natural aesthetic. The wood's natural, intricate patterns are visible beneath a gorgeous amber finish. This can only be applied by highly-experienced guitar craftsmen who have spent years honing their skills. That means you're getting a guitar with a design created by the very best at what they do. An abalone shell rosette surrounding the soundhole adds an extra touch of class to an already breathtaking instrument. This is pure elegance in guitar form. Shape your perfect sound. The Yamaha APX600FM comes fitted with a fantastic pickup system to give you both on-stage power and complete control over your tone. The System65+SRT Piezo pickup will deliver everything you play with complete clarity. Your music will sound clear and defined, always without interference or feedback. Make sure your audience only hears what you intend them to. That's not all. There's also a 3-band EQ that allows you to shape your tone intricately, meaning you'll be able to craft the exact sound you're looking for. Controls for low, mid, and high mean you can choose which tones you want to emphasise in your playing. Whether you're fingerpicking high up the fretboard, or playing deep, bellowing rhythm chords, the APX600FM has the ability to make you sound amazing.